I know my last OOTD post was more boring than usual, so hopefully, today’s will sort of compensate for that. So this weekend, it got pretty cold. Luckily, it would warm up by mid day, so it wasn’t so bad. With this weekend weather in mind, I decided to pick something that would be warm enough for the cool morning weather, but wouldn’t be too unbearable for the afternoon heat. Normally, I would have thrown on a pair of regular denim skinnies, but since they just came out of the wash, I didn’t feel like squeezing in to them this morning. Instead, I opted for some color pants. 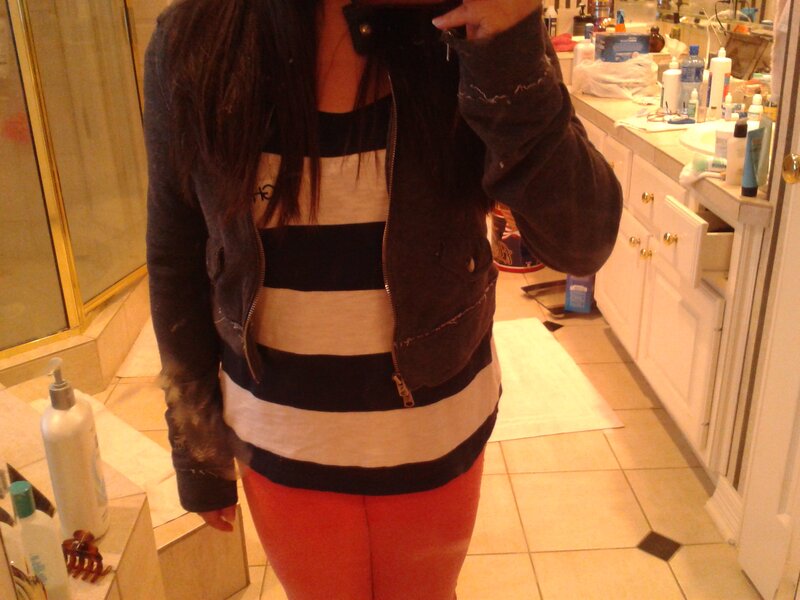 Since my corals pants are so loud, I toned everything else down. 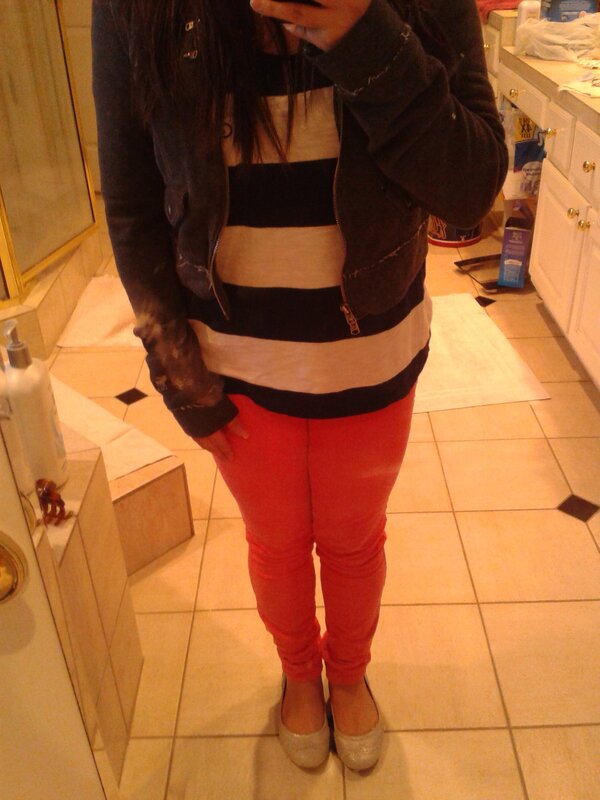 I went for a neutral striped shirt and my cropped, wannabe leather jacket. So that’s it for this quick update! If you like the colored pants trend, like this post and I’ll try to include them in more of my OOTDs. I hope everyone enjoys the rest of their day, and if I don’t post anymore this week, the rest of their week! 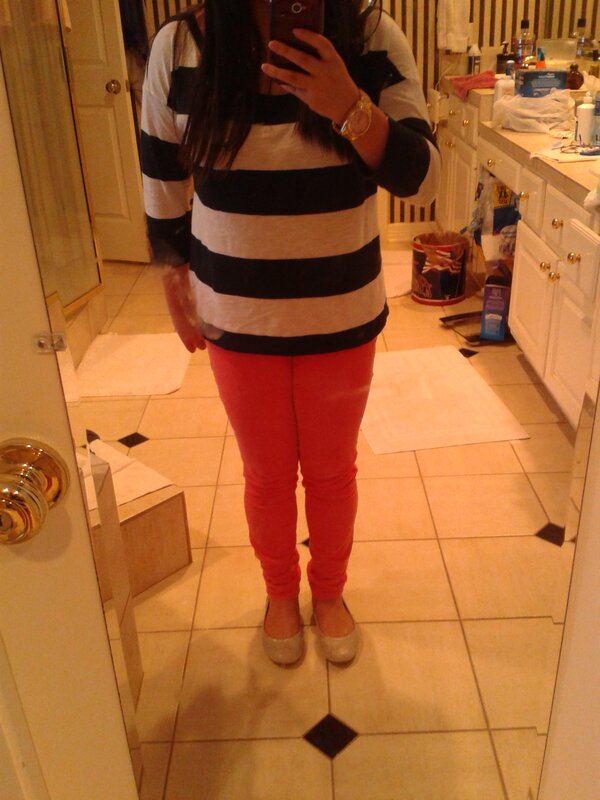 Coral and stripes?! Girl, those are two of my favorite fashion trends at the moment. Work it.